You may have already read our beginner’s guide to Airbnb, but if you haven’t give it a read first to get the basics down before learning 10 easy ways to make more money with Airbnb below! If you’re a host on Airbnb, or are thinking of becoming one, most likely, your primary goal is to make some extra cash. It’s not as simple as signing up as an Airbnb host, and then indicating how many beds and rooms and bathrooms you have; literally anyone can do that. If you want to become an Airbnb Superhost, and really rake in the money as an Airbnb host, you need to do a little more. Many of the solutions to this are simple: put yourself in your guest’s shoes to figure out what exactly it is that they are looking for. When you figure that out, it will lead to a better guest experience. There are a few simple things you can do to elevate your Airbnb listing, and make it so that more people not only want to stay there, but enjoy the time they spend in your home. Better guest experience = better reviews for you = more people book with you = more money in your pocket. Read on to learn the secret to having your own Airbnb success story. If you need a bit of an introduction to how exactly Airbnb works, check out our free Airbnb course first. 1. Give your guests the things they actually want. Giving your guests exactly what they expect and doing the bare minimum will never get you 5-star ratings. And neither will stocking a bunch of things that people don’t actually need or ever use in your home. You need to think about the key items a guest would require to live comfortably in your home for a short period of time, and make sure everything you think of is in your house, is clean, and is ready to use. These small items are of very little cost to you, but they can make a huge difference to a traveler in need. Why It Will Make You Money: Going that extra mile and making sure your guests have everything they could possibly want will lead to a good stay with no headaches, which will lead to consistent high ratings for you. 2. Responding quickly is your #1 priority. In most cases to complete a booking, potential guests will contact you by sending a message through the Airbnb website or app. All Airbnb users can see how quickly you respond to messages, which is a good indicator to possible guests whether or not you are worth contacting. Many people believe that a fast response rate is the key to hosting success. Remember that when a potential guest is sending you a message, they are already in the booking mindset. It’s quite possible they have sent the same message they sent to you to two or three other hosts in your area. If you are the first to respond and they like what they hear, you just beat out everyone else in your area who only bothers to check their Airbnb message once every day or so. You also need to remember that you’re essentially a salesperson for your home. Don’t underestimate the value of responding in a nice way, and being courteous. 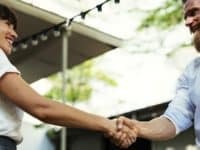 If given the option between a host who bothers to be kind, and one who curtly provides answers with minimal information – the guest is far more likely to choose the former. Wouldn’t you? And even though you may need to reject someone’s offer to book, you should be overly apologetic and courteous – it didn’t work out this time, but if you are kind, they may try to book with you again in the future. Why It Will Make You Money: Airbnb promotes hosts who respond faster, so your listing may move up on search result pages. Possible guests can also see your response rate, and often choose to deal with people who have faster responses. 3. Take professional photos of your listing. This may seem excessive, but spending a little bit of money to hire a professional photographer can help attract a lot more people to your listing. You may not need to spend a ton of money on a professional, but in the least, find someone with a top-notch camera who knows what they are doing. Showing off your home and making it look that much more appealing can really make the difference between someone passing over your listing, and someone making the decision to book. If you can’t afford to spend the money on some professional shots at the moment, there are a few things you can do to help your pictures better showcase the best parts of your home. Focus on lighting – Take your photos in daylight to make the rooms look brighter, unless you have something you need to show off with nighttime darkness, such as outdoor lights or a hot tub. At minimum, 1 picture for each room – You should aim to take at least 8 or 9 pictures of your home and property, and make sure each room is featured. Guests want to see proof of the things you say you’re offering – if you don’t show it, they might believe you are misrepresenting the property in your description. Don’t forget outside – Make sure to take pictures of your outdoor area as well; even if you are only offering an apartment building, seeing what it looks like from the outside helps potential guests feel more comfortable with the arrangement. Use your corners – When taking photos, stand as far back in the corner of the room as you can. This helps you get a much more comprehensive shot of the room, and show a lot more of what is going on. Be a show-off – If you have something particularly enticing or unique, make sure you take pictures to showcase it. If you have a pool, a hot tub, a themed room, or anything else that other people likely don’t have, make sure you include at least one image of it. Why It Will Make You Money: According to Airbnb, who offers a free professional photography service for its hosts, having professional photographs will help a property get booked 2.5 times more than one without, and bring in an average of $1025/month. 4. Give away special gifts and useful everyday items for free. This might sound counter-intuitive, but put some money into your listing. Think about ways you can offer something to your guests that they aren’t expecting, but will make them feel like you genuinely care about their happiness. And we’re not talking about toothbrushes and shampoo here – which you should have on hand anyway. These need to be things that will make the stay enjoyable, and that your guests don’t really need, but will love. Some great ideas include a bottle of wine, some specialty coffees, fresh fruit, local craft beer, small snacks, cereal and milk, and other things they can consume while they’re there. If they have children, some toys or candy would be great too! 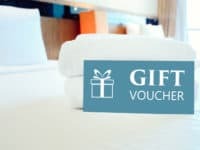 You’re probably making a few hundred dollars or more from their stay – what’s a $10 gift, really? 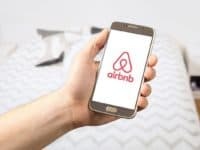 Why It Will Make You Money: Think of your home as an investment and Airbnb as your business: you may have to put a little money into it to take it to the next level. As long as you’re spending a fraction of what you make in income, what you spend will elevate your listing, which will lead to more people booking with you and better reviews. 5. Ask questions that help you cater to individual needs. How much attention they want – Do they want to meet a local and hang out a bit, or would they prefer to be left alone? Do they have accessibility needs? – Do they need access to a wheelchair ramp, something brought downstairs, etc.? Directions – Do they know where they’re going or will they need some information on what’s going on in the local area? Suggestions – Help them choose restaurants, bars, coffee shops, or make other recommendations. What is their party like? – Is it a single traveller, couple, family, and do they have pets? 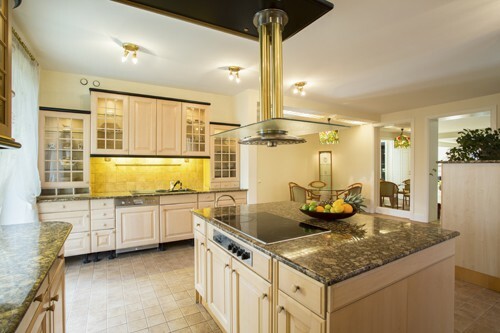 These questions can help you add things to your home that specifically caters to this guest. If they have children – make the home child-friendly. If they have pets – maybe leave some treats out for the pet. If they have any disabilities, design your home for access. Make the extra effort to work with each individual to really get them interested in your place, and help them enjoy their time more. Why It Will Make You Money: Guests will be more likely to leave a good rating for you if you cater to them, and make the experience feel personal. Consistent higher ratings means more people choose you as a host. 6. Showcase something unique and useful. If you have something in your home that not everyone else in your area might have, make sure you show it off in your listing, and especially, that you take pictures of it. It has to be useful as well though – what is the point of showing off a 2-million-dollar painting behind plexiglass that your guests can’t do anything with when a trampoline would be far more well-received? Think about making your place unique, to give people more of a reason to choose you over your local competition. 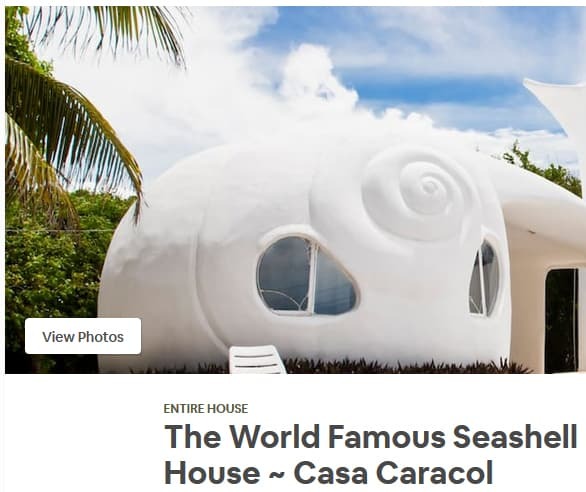 This world-famous seashell home on Airbnb is a perfect example of how something unique and fun can attract hundreds of visitors! And remember, you’re probably not the only one offering Airbnb services in your area. If someone else has a place that is the same size, in the same location, with roughly the same amenities included, you need to do something that sets you apart. If you were choosing between two places that were essentially the same, wouldn’t you choose the place with a themed board game room, an in-home cinema, a library, or a backyard mini golf course over the place that didn’t have those features? Why It Will Make You Money: More and more listings are added to Airbnb every day. 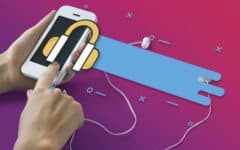 Adding something fun, useful, and unique to your home sets you apart from the competition, which makes it more likely that people will choose to book with you over others. 7. Offer ways to make memories. Your Airbnb is not just a place to stay – you are selling an experience for your guests. Creating a meaningful vacation for your visitors and helping them make memories. This is what separates the Airbnb homes that make money, and homes that make the big bucks. There are simple things you can do such as leaving a welcome packet for your guests with a personal message, and make suggestions for what they can do, in and outside of your home while they are there. Do say: Spend an afternoon in the downtown core exploring local restaurants like the Popover Pantry for brunch. 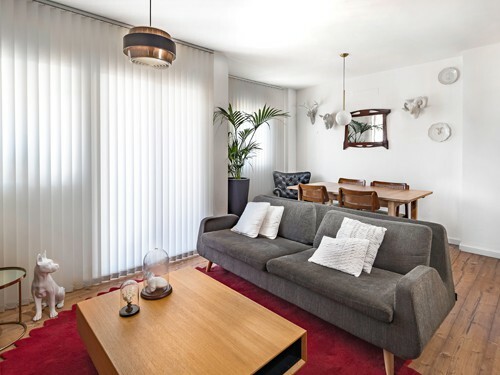 When you return, prepare a home cooked meal in the fully-equipped stainless steel kitchen, and enjoy it, and a glass of wine on the private balcony with breathtaking views of the local park and Silver Lake. To unwind at the end of the day, enjoy a dip in the private hot tub. Put some creativity into it, and describe how your amenities will all add up to the perfect place to stay! Turn what you have to offer your guests into a story that they will tell when they return to their own home. Why It Will Make You Money: If potential guests can picture themselves in your home by the way you describe your features and amenities, they will be more likely to choose you over your local competitors who aren’t bothering to do this. 8. Raise or lower your price. If you aren’t getting enough people to book, or you have a place that is in too high demand, you may need to lower or raise your price (respectively). Remember that you aren’t a hotel, so you shouldn’t be priced like one. Make sure you do some research on Airbnb for what else is offered in your surrounding area. You should try to offer your place for slightly cheaper than the closest comparable option to you – that will help you clinch reservations when the visitor is on the fence. If you’re stuck about where to land on your price, try using Airbnb’s price estimator (included when you sign up to host) or try reading through their Airbnb home pricing guide. 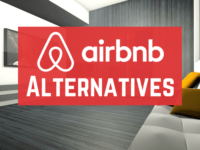 Check out what you have currently on your listing, and scroll down to see what Airbnb suggests for your home – it will be based on your location and how many rooms and beds you offer (based on other listings in your area and their average price). Think about offering long-term discounts, or reduced rates for the first person to book with you if you are brand new to the Airbnb game. Why It Will Make You Money: Raising your price (obviously) will increase the money coming in per visit. Lowering the price can help you get more people to choose your home, if it is listed at a price that is too high for what you offer. Many people have had success with listing multiple properties in the same area. If you have the ability to rent out more than one place at a time – DO IT! This gives you a far greater opportunity to dominate the market in your area, and get more and more bookings as time goes on. This is also an amazing opportunity to try out different techniques in your individual homes. Try out a few different things in your different homes to see how your guests respond. Then you’ll determine what people want, and which techniques work best in each type of home. Why It Will Make You Money: More chances for people to book, and a greater variety to offer to potential guests. 10. Stay in your own home to see what it is lacking. When all else fails, if you’ve tried these techniques and they’re just not working for you, or you do most of these already, there’s one thing you can do to make it all work: stay in your own listing. We don’t mean spend an afternoon there – take a real vacation, for at least a weekend, in your listing. What is the water pressure like? Is there a clogged-up drain? Did you forgot to leave something that helps to wash dishes? By staying in your home for a longer period of time, you’ll realize what is really missing. Start making a list and make sure to add everything you can think of to make your guest’s stay more enjoyable. If you can enjoy a vacation there – other people will too! Why It Will Make You Money: Remembering all the little things you don’t think of while setting up your listing the first time will help improve your reviews and overall rating, which will encourage more people to book with you. Reviewers may even mention your attention to detail! VRBO – With almost as many listings as Airbnb and available in just as many countries, VRBO attracts tons of users every day, so you’re likely to increase business. HomeAway – One of Airbnb’s biggest competitors, it has millions of users worldwide, and is a great alternative to listing with Airbnb. Flipkey – Coming from TripAdvisor and its legendary rating system, if you’re a quality host, you can typically list your property for even more money on this website. 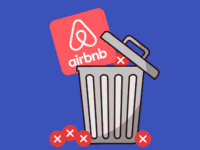 With only minimal effort, you can make a few changes to what you offer your clientele, and in turn, make a lot more money with Airbnb. If you’re looking for a few more specific examples about how to be an Airbnb host, or small changes you can make around the house, check out our article on Airbnb Host Tips. 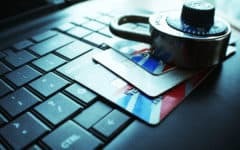 We also have many other great articles to help you navigate the world of online vacation rentals.